Corporations are under intense pressure to grow and sustain profit in a world seen as volatile, uncertain, complex and ambiguous. Consumers are measuring the speed of corporate shame as daily headlines reveal toxic organization behavior, and CEOs now know that they are just one viral ?hashtag campaign? away from a win, loss or draw in the court of consumer opinion as sociopolitical ideologies increasingly become linked to corporate reputations. A process of corporate self-governance, CSR focuses on ethical behavior and actions that yield social and environmental capital. It no longer is an isolated marketing function, but a business imperative whose strategy matters most when delicately balancing people, purpose and profit. When companies are perceived to have compromised standards that impact work conditions, affect quality, safety or brand value, the reactions from consumers, regulators and media can be brutal. Chipotle Mexican Grill Inc., for example, once the darling of the fresh, fast, casual-dining industry, is still recovering from tainted-food problems in 2015. Similar to CSR in its process of self-governance and often used interchangeably, corporate sustainability has become the preferred term for those concerned with ensuring their companies? survival to deliver value to stakeholders through attention to CSR issues. When most airlines began to charge passengers for checked bags, Southwest Airlines stayed the no-charge course and continues to be rewarded with customer loyalty and profitability. 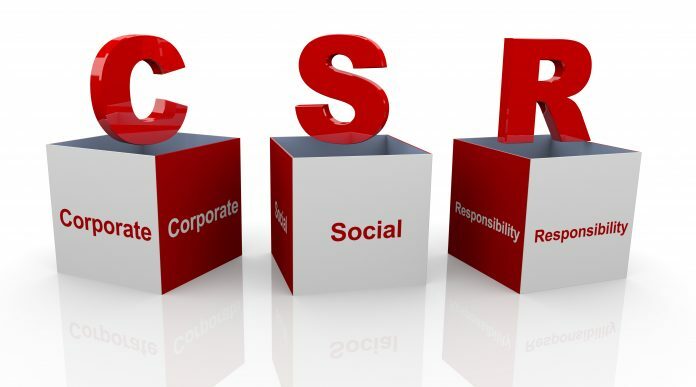 Both CSR and corporate sustainability measure performance against key economic, social and environmental indicators. They are business disciplines that continue to evolve. Corporations have been transforming through their vision and mission statements, translating values into action. Codes of ethics, too, have evolved, providing dynamic guidelines for the globally diverse workforce. And, with transparency shedding light on ethical commerce and its growing impact on society, culture has emerged as the barometer for corporate decisions around the environment, diversity and inclusion, and values as a business enabler. Global Reporting Initiative (GRI), an international independent body that promotes sustainability reporting standards for corporations, governments and other organizations, says corporations in more than 90 countries participate in its initiative, ?with 92 percent of the world?s largest 250 companies reporting on their sustainability performance.? Sustainable Brands, a learning, collaboration, and commerce community of more than 348,000 sustainable business leaders from around the world, says the mission of these leaders is, in part, ?to promote purpose-driven environmental and social innovation into the DNA of their businesses so that sustainability becomes a core driver of business and brand value.? Environmental issues have caught the world?s attention, most recently the Paris Agreement on climate change, wherein 195 countries pledged to reduce pollution that alters the composition of the atmosphere and from which President Trump pulled the United States, to the chagrin of U.S. corporate leaders. ?The CEOs of big public companies don?t walk out onto the plank of social and political leadership by default,? Nancy Koehn, a historian at Harvard Business School, said in a recent New York Times interview. ?But today, to keep silent is to jeopardize the reputation of the company.? Public-private partnerships are experiencing a seismic shift in moral leadership. Merck?s African-American CEO Kenneth C. Frazier resigned from a government council within 24 hours of President Trump?s seeming support of white supremacists whose protests in Charlottesville, Virginia, led to injuries and loss of life. Other CEOs appointed to presidential advisory councils followed suit, causing the Strategic and Policy Forum and Manufacturing Jobs Initiatives Councils to be disbanded. Just a few days later, the entire President?s Committee on Arts and Humanities Council resigned with a searing rebuke of the president. Transparency places greater accountability on CEOs and boards of directors, who are now on the front line of CSR. Corporate stakeholders ? those in human resources, marketing, diversity and inclusion, ethics and compliance, procurement and supply chains, legal, corporate foundations, and strategic lines of business ? make up an integrated force that must work together and take social risks, because CSR matters.